With supermarkets now charging 5p for carrier bags and a bid for a more environmentally friendly UK, it’s time for you to find your reusable shopping bag solution. We think Trolley Bags are the answer… and so do our customers too! Halve the time at the supermarket checkout, organise your shopping the way you like it, and never have to worry about buying a carrier bag again! 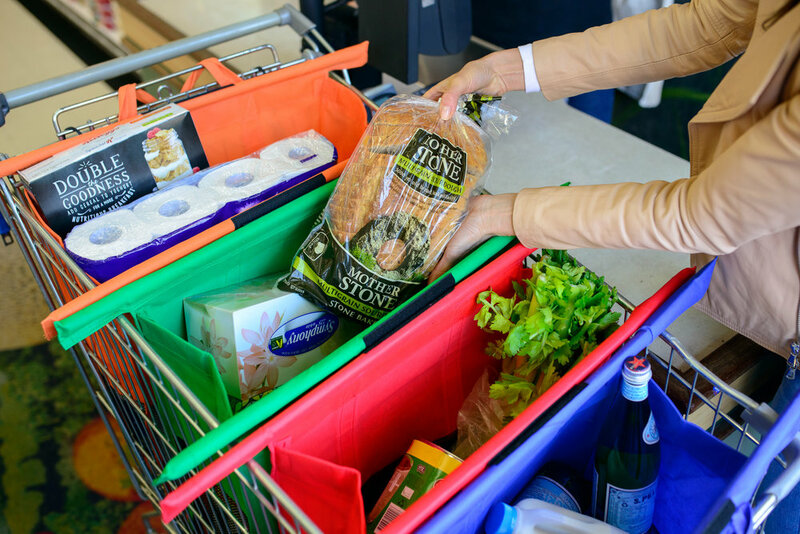 Trolley Bags roll up into one smart parcel, which can sit neatly in the boot of your car ready for your supermarket shop! You’ll never forget to take them into store, because once you shop with Trolley Bags once, you’ll wonder how you ever went without them for so long. They really do make packing a breeze! As seen on Dragon's Den, these cute little time and money savers are the best shopping accessory any household can buy. We were sent them recently to review and once my husband finally found where he'd hidden them, we went to test them out. Given the fact that supermarkets now charge 5p for every bag you use, these little beauties are worth every penny. Once you put your shopping on the belt at the till, simply open out the bags and organise your shopping as you pack. Fresh food in one, Freezer in another... gone are the days in which you get home and dart around placing things from one bag into 50 cupboards! Simply open one door and empty one bag; BLISS! For me this has made shopping a dream, I have pure hatred for my husband at the till, as his ability to squash the bread and place the freezer stuff in 20 different bags is immense. Trolley bags may well be renamed to "nag free shopping bags" by him indoors. Hurrah for Trolley Bags. 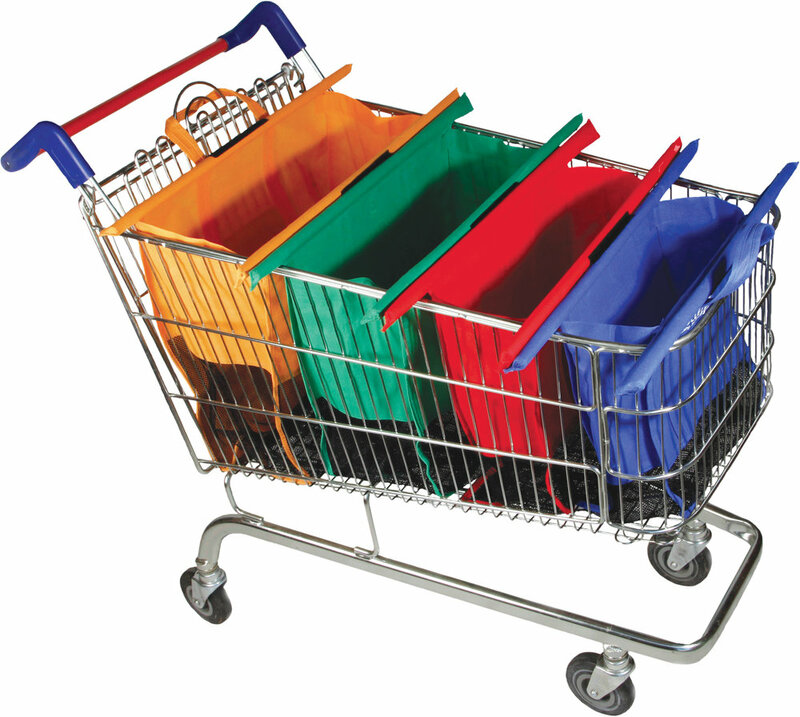 Trolley Bags are now available in two sizes as well as different colours, so there’s a set for everyone! Trolley Bags Original for deeper trolleys and Trolley Bags Express for shallow Trolleys, with both size sets available in bright vibe or pastel shades! Also available in some UK stores.